As we begin 2019, we’re spotlighting the Cenovus Decision Making Criteria. 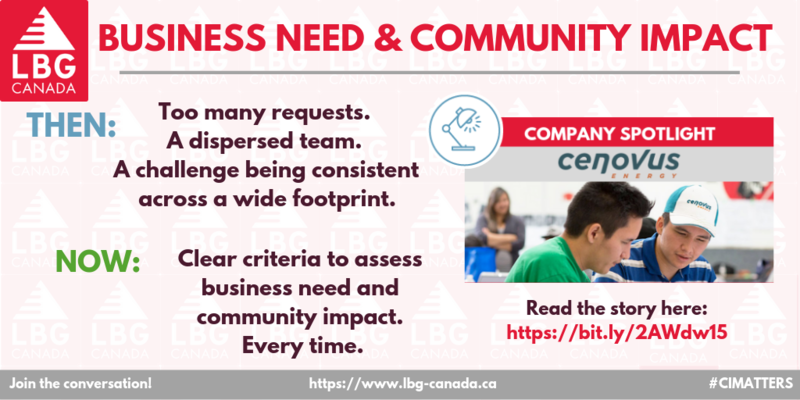 A tool created to assist a geographically dispersed community investment team with decision-making consistency. To read the story, click here. 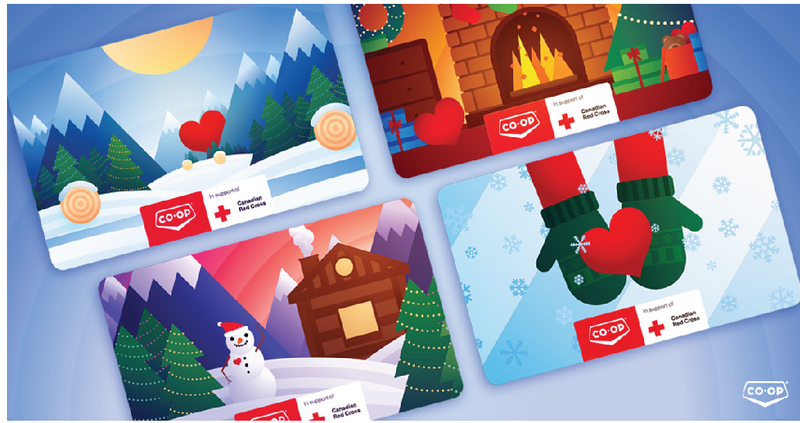 Co-op is inviting their members, customers and employees to participate in a cause-marketing campaign to build awareness around the long-term partnership with the Canadian Red Cross. Learn about the Co-op Give Card Campaign here! 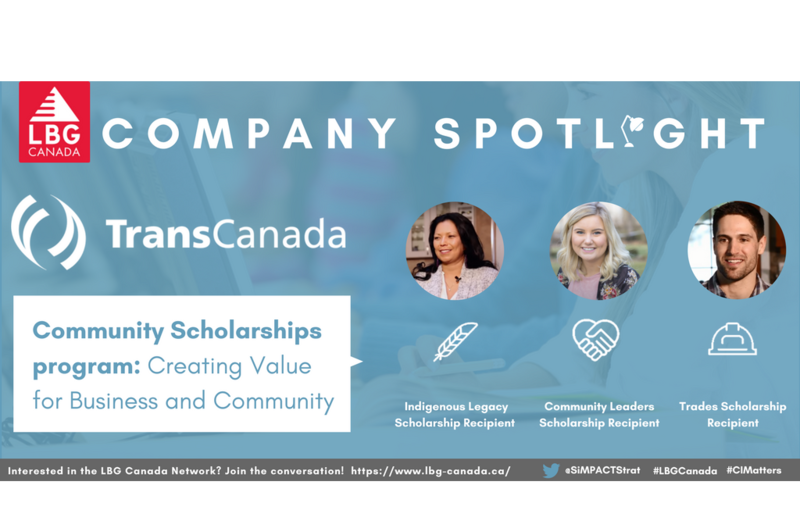 TransCanada’s Community Scholarships program: Creating value for business and community. Learn more here. Best Buy’s new open giving program, “myGiving”, a simple online tool that makes giving to charities that are important to employees simple. Learn more here. 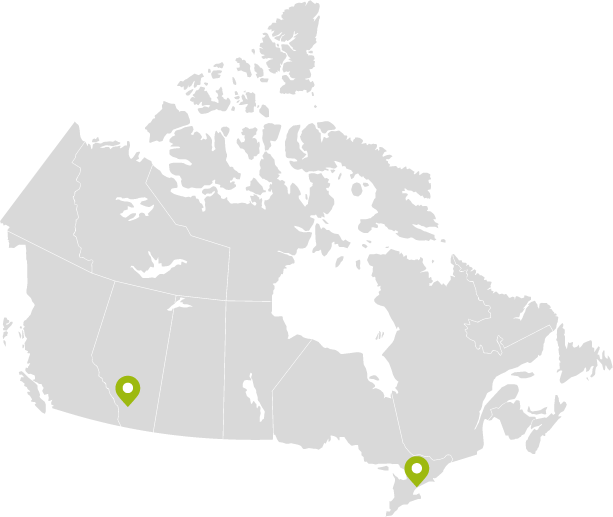 Cenovus has intentionally supported organizations and causes that have experienced increased demand during the downturn. Learn more here. Early in 2016, the LoyaltyOne Corporate Responsibility Team was tasked with relaunching the community investment strategy. Two priorities were clear. Learn more here.